Search Engine Optimization (SEO) is the process of improving the volume and quality of traffic to a website from search engines via natural search results. Usually, the earlier a site is presented in the search results, or the higher it ranks, the more searchers will visit that site. SEO can also target different kinds of search, including image search, local search, and industry-specific vertical search engines. Our SEO Campaigns encompasses everything from consultation, keyword research, redeveloping the website, creating incoming links, submitting to search engines, optimizing for voice searches and monthly reporting results. We even include our Online Reputation Management platform where you can monitor what is said about your business online. 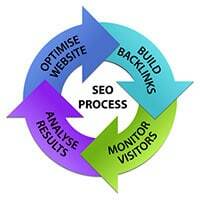 Vici is dedicated to the high standard of SEO that major search engines demand. 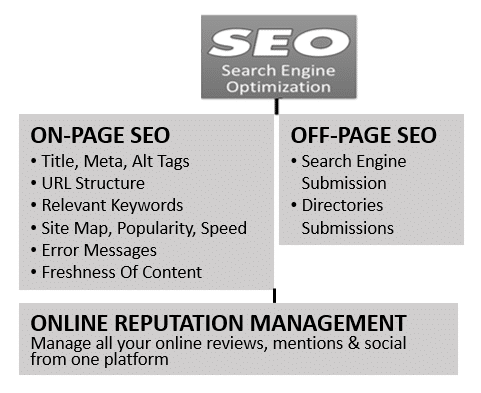 What’s included in our SEO Campaigns?